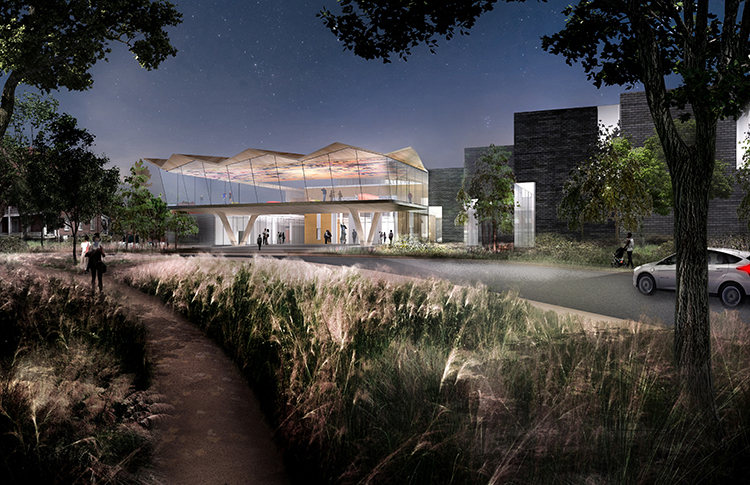 What does a cultural hub for the 21st century require? 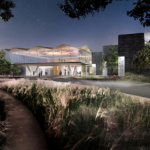 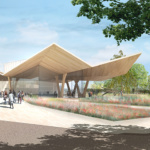 With their newly unveiled design for the Arkansas Arts Center in Little Rock, Studio Gang and SCAPE Landscape Architecture have a few ideas in mind: flexibility, inclusivity, community, and a nod to sustainability. 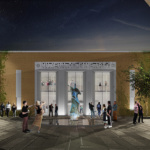 The expansion and renovation, which is scheduled to break ground in 2019 and open in 2022, addresses a number of concerns from the existing 1937 structure and the work of eight subsequent additions. 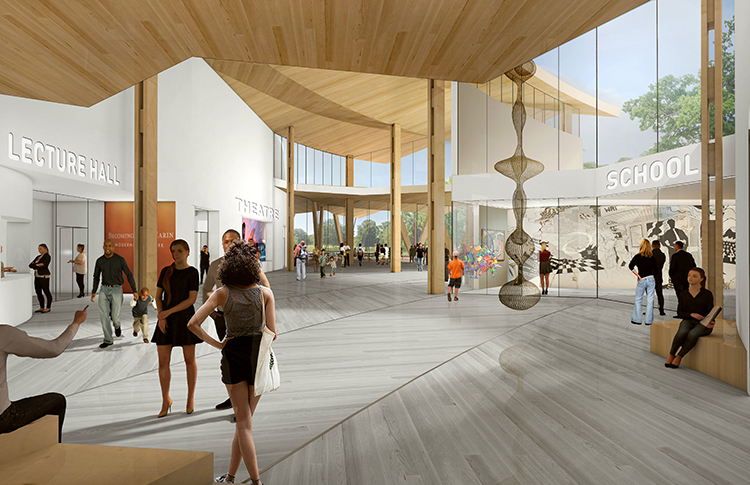 (“A very complicated puzzle,” as museum director Todd Herman described the existing space.) 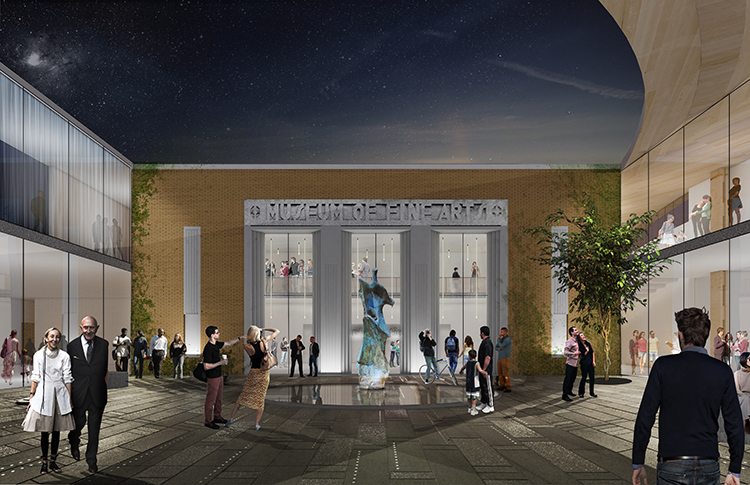 In addition to selective demolition that will reveal the original facade, the first course of action involved uniting the spaces, which the architects plan to accomplish with the addition of a pleated covered walkway spine that links the city-facing north entrance with a new southern entrance connected to parkland. 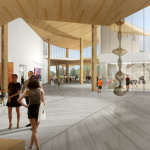 In addition to the central corridor, the expansion will also include an indoor-outdoor dining space and a multifunctional area called the Cultural Living Room that’s designed to welcome visitors to engage and relax, while also offering space for large-scale events and performances. 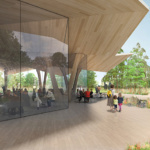 Specific attention will be paid to the sustainability of the materials and mechanical systems, underscoring the connection to nature that’s at the core of the project, which has been described as a “museum in a forest.” Critical to that concept is the SCAPE’s new plan for the landscape, which increases parkland with more than 250 new tress and a variety of new paths and trails. 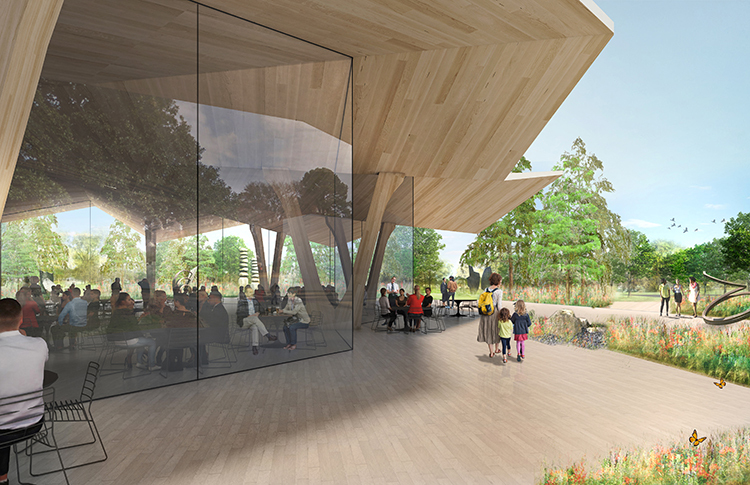 SCAPE founder Kate Orff found inspiration for the design in Little Rock’s unique ecology, which spans from the Mississippi Delta to the bluffs of Emerald Park.